This stylish silver cutter features a double guillotine blade. Great cigar cutter. Sharp, gives clean cut. Good little snipper while it lasts. Sharp and cuts well. The lock is a little "catchy" sometimes. After many cuts the screws starts becoming loose so I filed it away and use in emergencies. 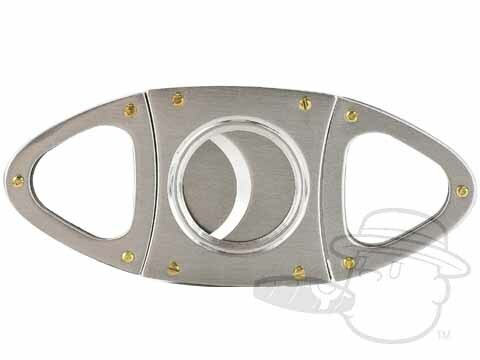 Orleans Oval Silver Cigar Cutter is rated 4.4 out of 5 based on 2 customer ratings.